A recording of a live performance of the King Bros. Circus (performance location unknown) by Robert McDougal. The King Bros. 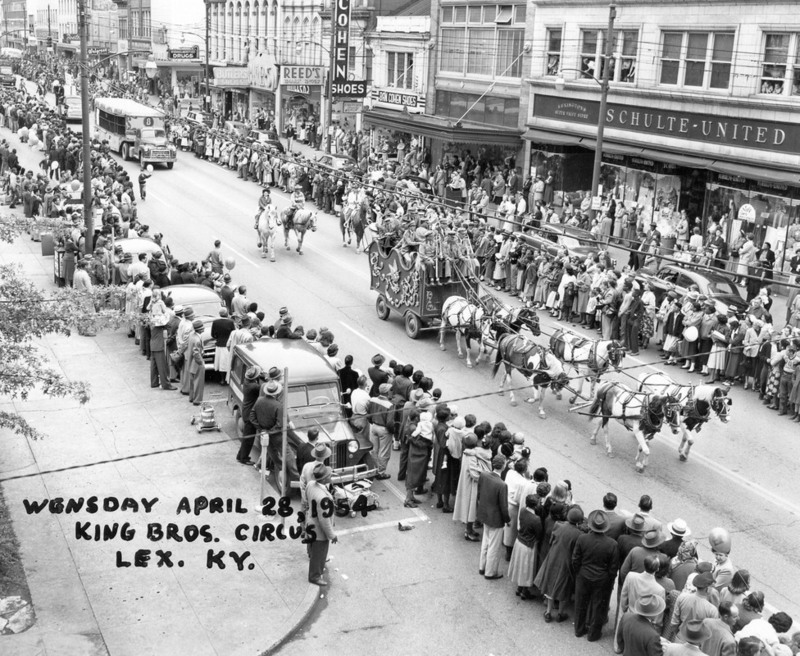 Circus parades down the street at Lexington, Kentucky, April 28, 1954. 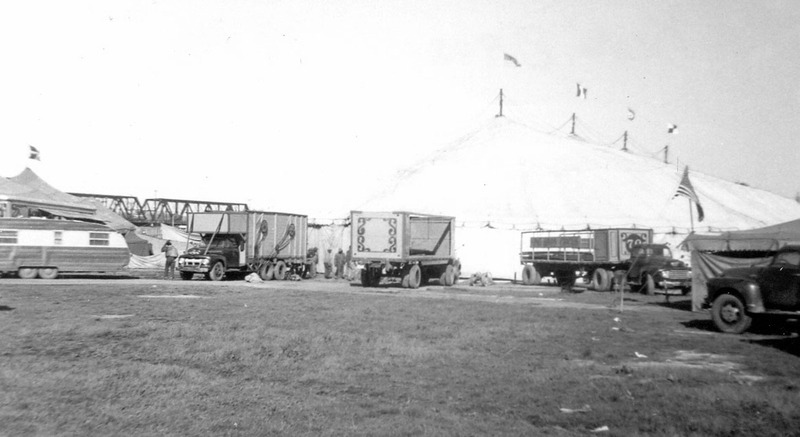 A view of the show grounds lot of the King Bros. Circus,1954.